PLEASE MAKE SURE YOU CHOOSE EITHER AM OR PM. There is a 2 hr minimum. The number of additional lifeguards needed is based on the number of guests attending the pool party and does not include the already scheduled lifeguard(s). 1. 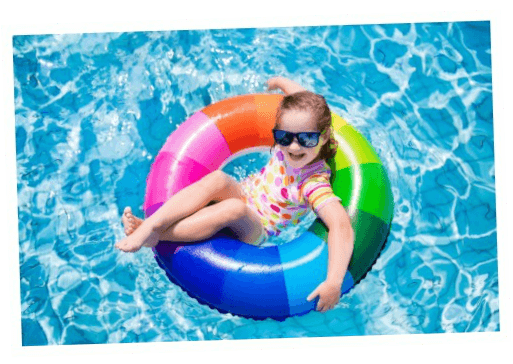 Pool parties with less than 10 guests may not require an additional lifeguard, please check with your HOA regarding rules with pool parties in your neighborhood. 2. Customer agrees to provide one (1) chaperone for every 15 people under the age of 18 yrs old. 3. All parties must be booked at least one (1) week prior to the party date to allow enough time to schedule lifeguards. Parties booked less than one (1) week in advance will be charged a $25 "rush" fee to offset the costs related to last minute scheduling. 4. Customer agrees to schedule their pool party during regular pool hours unless other arrangements have been made and approved by the HOA board. 5. All payments are to be submitted directly through the website or the main office. Lifeguards cannot accept pool party payments. 6. Credit card payments or checks must be received at least five (5) business days prior to the scheduled party. 7. Customer may be charged a $20 cleanup fee if the pool and surrounding area is not cleaned up and is left in poor condition. 8. A minimum of 2 hours notice prior to the party start time is required to cancel due to weather. If notice is given less than 2 hours prior to the party start time, the fee is non-refundable and non-transferrable.